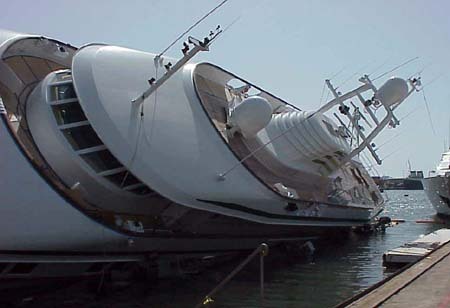 While launching on a yard slipway, the 175' Swedeship Destiny foundered. The charter vessel was raised with a list and lost proper bouyancy upon reentering the water narrowly missing by less than a few feet another large yacht. Luckily, none of the crew onboard were seriously injured. The yacht is severely damaged and may be a total loss.